Several weeks ago, we rounded up a few of the most famous coffee shops in TV sitcoms. Here, we cozy up to memories of some of our favorite movie diners and coffee shops. Ahhh, Amélie (2001)—this blogger’s favorite movie of all time, and featuring a lovely little French café called Crème Brulee, where our protagonist schemes and plots for the most important plight of all: love. Oui oui, it can’t get any more French than this! Who can forget the famous scene of Georgette and Joseph, ummm, enjoying the privacy of the café bathroom together? It turns out this café actually exists; “Café des Deux Moulins” in Montmartre, Paris, as I discovered at the blog Four Seasons of Food, where you can see more photos. But reviews on TripAdvisor warn of lousy service and mediocre food. So it might be best to admire this one from afar as a fictitious brainchild of Amélie director Jean-Pierre Jeunet. We saw one famous diner over and over again on the silver screen in the movie Groundhog Day (1993) by director Harold Ramis. 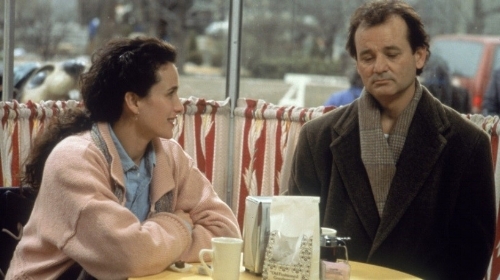 Phil and Rita (Billy Murray and Andie McDowell) met for coffee at The Tip Top Café many mornings, as Phil tried multiple times to be a decent human being, live his best day, and win over the girl. The café was originally a film set created for the movie but later became a real-life café thanks to the set's popularity after the film’s release. The Tip Top Bistro, opened about 2005 in Woodstock, Illinois, and had a short run before becoming a coffee and Italian ice cream shop. Today, the Taqueria La Placita, an inexpensive Mexican restaurant, occupies the space. 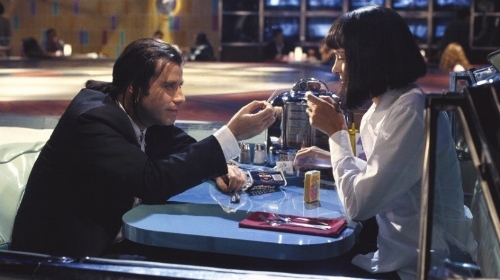 “I think it’s like a wax museum with a pulse,” said Vincent (John Travolta) of the famous Jack Rabbit Slim’s diner, where he shared a “bloody as hell” steak, a $5 shake, and an iconic dance with Mia Wallace (Uma Thurman) in Quentin Tarantino’s Pulp Fiction (1994)—bonus points for remembering Steve Buscemi as the Buddy Hall lookalike waiter! Many of the movie’s real-life California locations have gone belly up since, but Jack Rabbit Slim’s never existed in the first place. According to Movie-Locations.com, the diner was “no more than a huge set built in the film company’s warehouse in Culver City. The dining booths are six vintage convertibles and the raised dance floor in the center of the diner is shaped, in case you hadn’t noticed, as a tachometer— an homage to Howard Hawks’ Red Line 7000 and Elvis Presley’s Speedway.” But the distinctive exterior, once a bowling alley, was real and still exists. Interestingly, during my research for this one, I discovered a pizzeria restaurant by the same name right here in lil’ ole Denver. They also serve Eskimo Brothers nitro-infused ice cream. I’ll have to go check it out, though something tells me there won’t be any dance contests. Bummer! Vote on your favorite famous movie and TV cafes and diners at IMDB. Check out which one is in first place! Have any other favorite movies featuring iconic diners or cafes? Drop them in the comments below. 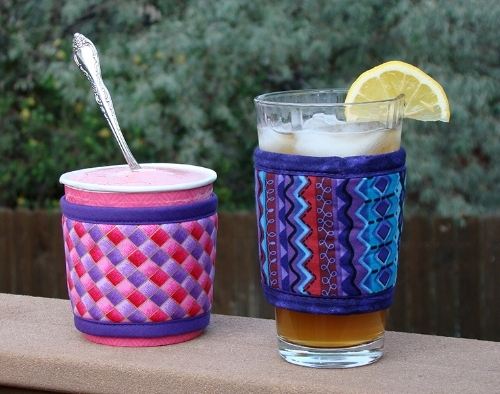 And remember, before sitting down with your ice cream and drink to watch one of our movie recommendations, be sure to get out your Kream Kollar and Kup Kollar to keep everything cold this summer. That’s hot! Koffee Kompanions' Circus Time Kream Kollar (left) and Butterflies Kup Kollar (right) keep a pint of ice cream or iced drink cold and your hands comfortable! 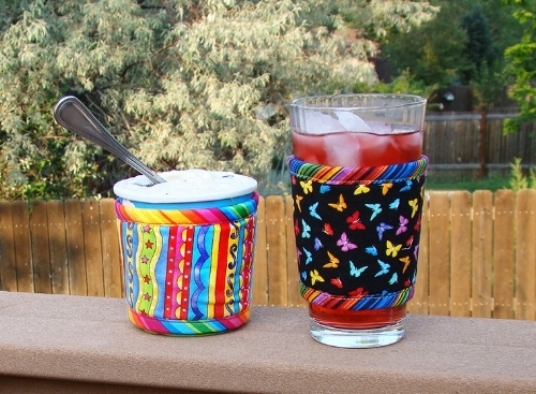 Koffee Kompanions' Raspberry Sorbet Kream Kollar (left) and African Inspiration Kup Kollar (right) keep a pint of sherbet or iced tea cold and your hands cozy! What’s the Latest Grind on Handheld Coffee Grinders?